Eliminate the windshield, feel the breeze, smell the flowers, there is no better way to travel than by bicycle. 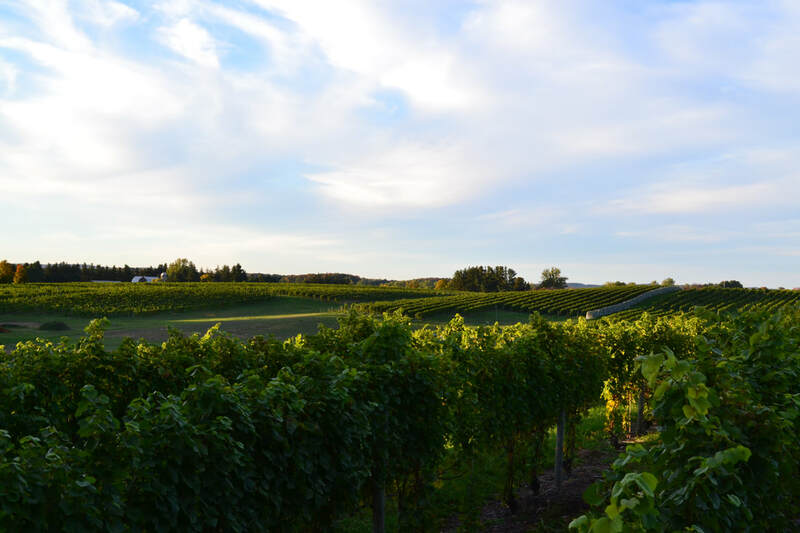 Let our local guides share with you their favorite wineries. Taste elegant wines and enjoy a picnic overlooking an idyllic vineyard scene. Our tours ride at a casual pace on inviting paths and back roads where bikes become the ideal vehicles for exploration. People of all riding abilities are welcome. Our support van will be there to keep you safe and comfortable whenever needed. We fix flat tires, rescue you from severe weather, and carry wine, produce, flowers, and any other roadside purchase you might make along your route. Trust us with your day. 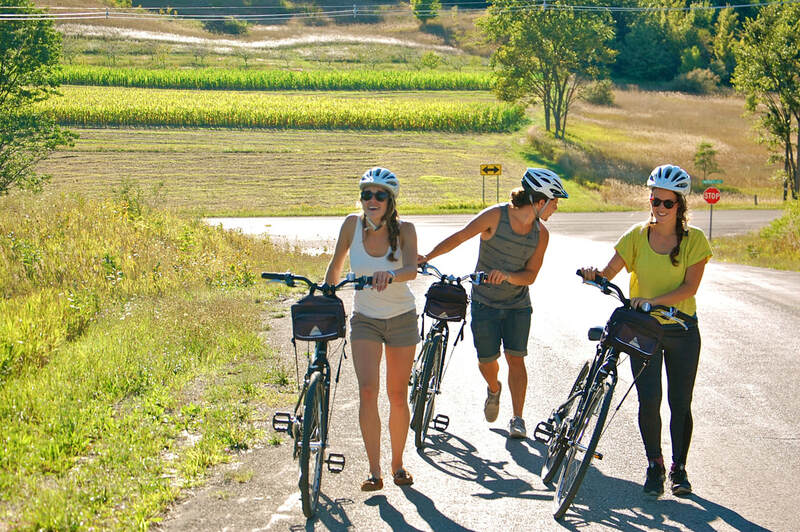 ​Casual-paced guided bike tour along the Leelanau Peninsula stopping at 3-4 wineries. Cycling on quiet backroads to some of Michigan's premier wineries. Lunch is included at a winery overlooking the vineyards. Duration: 10:00 a.m. to 4:30 p.m.
Let us build a custom trip to meet the needs of your group! Wedding parties, family reunions or corporate outings, we will create an experience to remember! Our guides will lead you over carefully selected side roads and trails, to our favorite breweries with one wine stop. Enjoy an artisan wood fired pizza lunch. 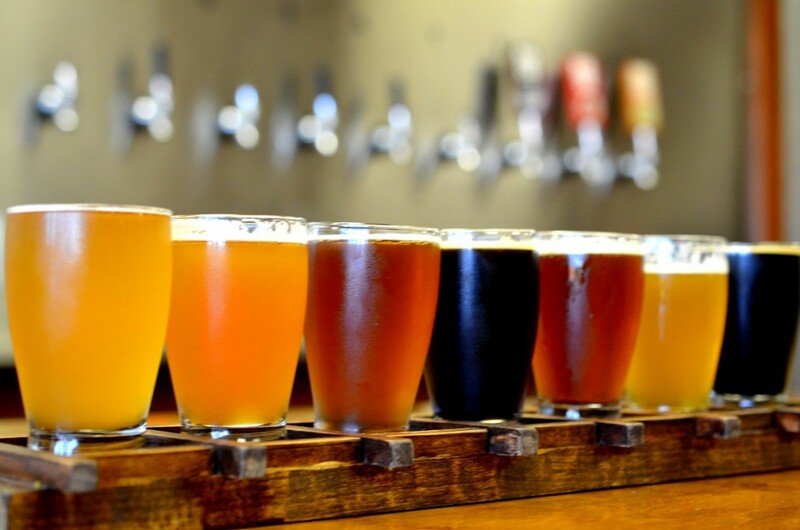 Casual paced tour will take you behind the seens at the areas best breweries. Duration: 11 a.m. to 4:30 p.m.